Need space? Enjoy living 5 minutes from town? Have you always dreamed of a large deck with pool, hot tub and ocean views? THIS IS THE HOUSE FOR YOU! 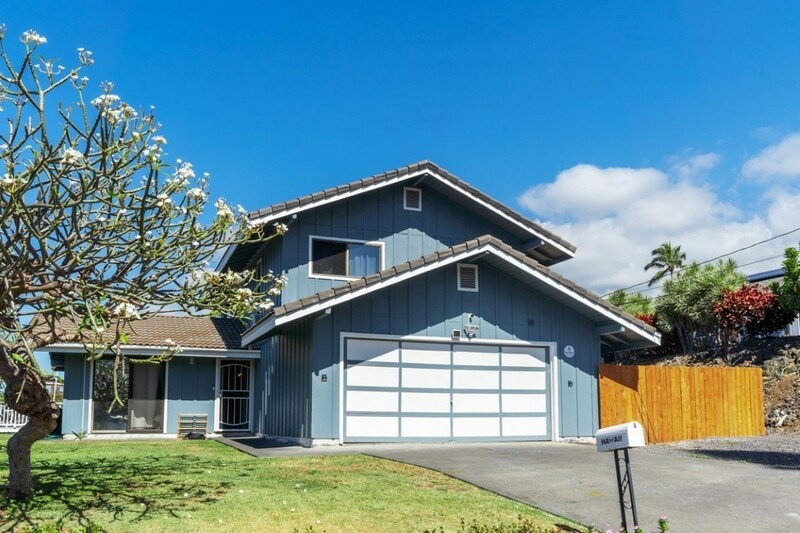 Conveniently located in Kailua View Estates minutes from Kailua-Kona this 4 bedroom 2 bath main house also features an attached studio and full bathroom with separate entrance. House was remodeled in 2017 to upgrade the kitchen- new cabinets, appliances, floor and granite counter tops. Bathrooms were completely redone too! Studio was redone in 2019! In addition to the large main house the back yard has a HUGE deck with in ground pool, hot tub, 2 gazebos and ocean views.The property backs up to the community center for added privacy. Additionally, there is a large fenced off side yard for your animals! This house has it all, don't miss it!